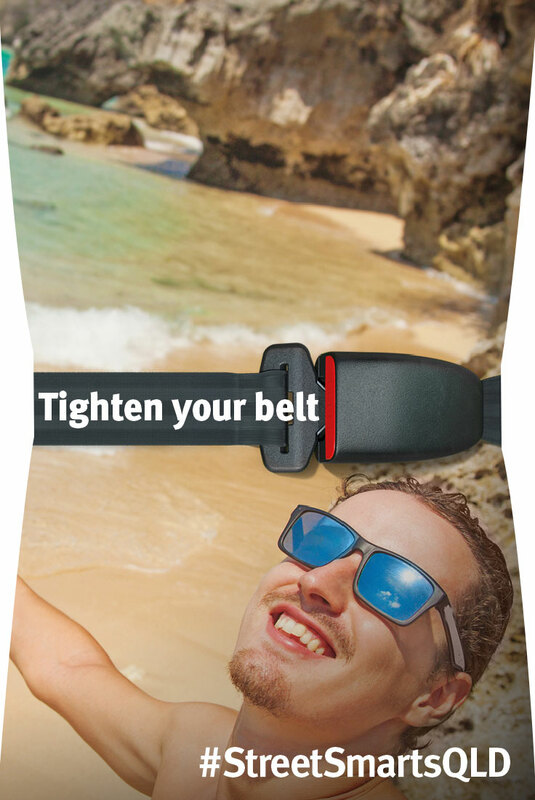 Wearing a seatbelt halves your risk of dying or being seriously injured in a crash. 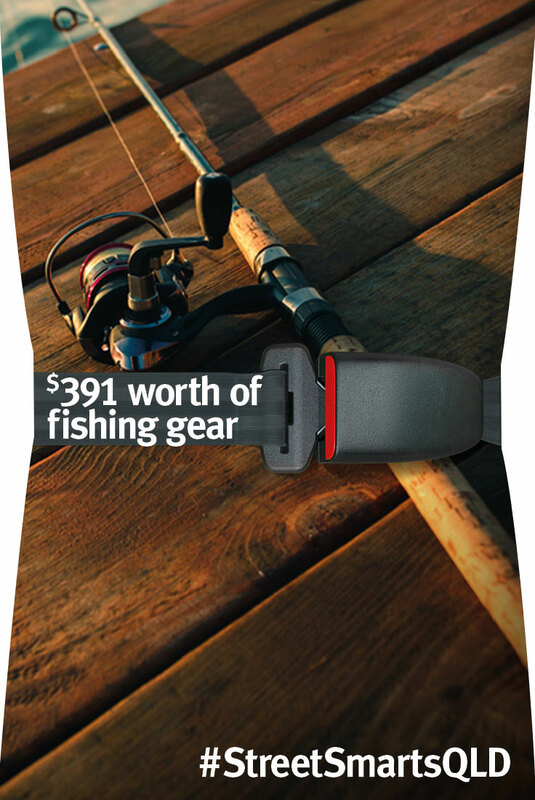 Buckling up means you’ll save a $391 fine and 3 demerit points. This applies to both drivers and any passengers aged 16 years or older. Drivers can also be fined $391 and 3 points for each and every passenger in their vehicle not wearing their seatbelt or approved child restraint, regardless of the passengers’ age. Double demerit points also apply for some repeat offences. 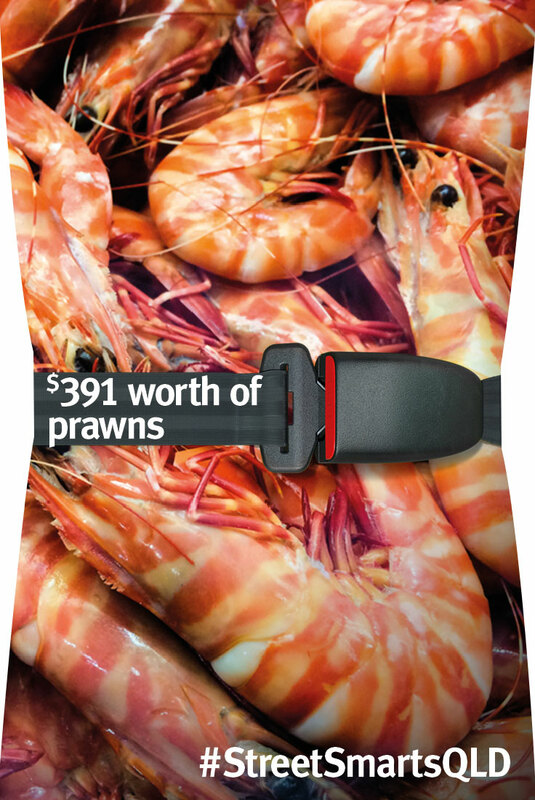 Imagine getting a fine for $391 and 3 demerit points, or worse for something as silly and preventable as not wearing your seatbelt. So, remember: always tighten your belt. Click here for more details on seatbelt fines, demerit points and double demerit points. 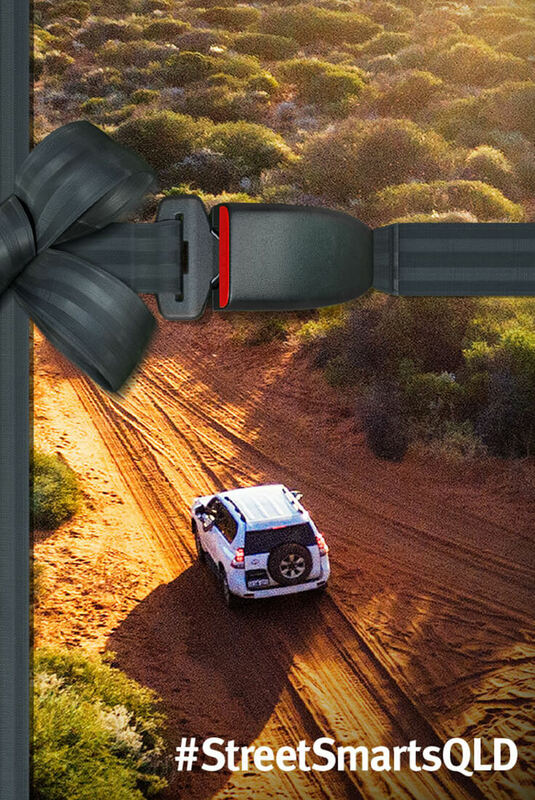 Strap yourself in and take the test on seatbelts. Ever wondered just how much a seatbelt really helps in a crash? Check the myths and facts here. 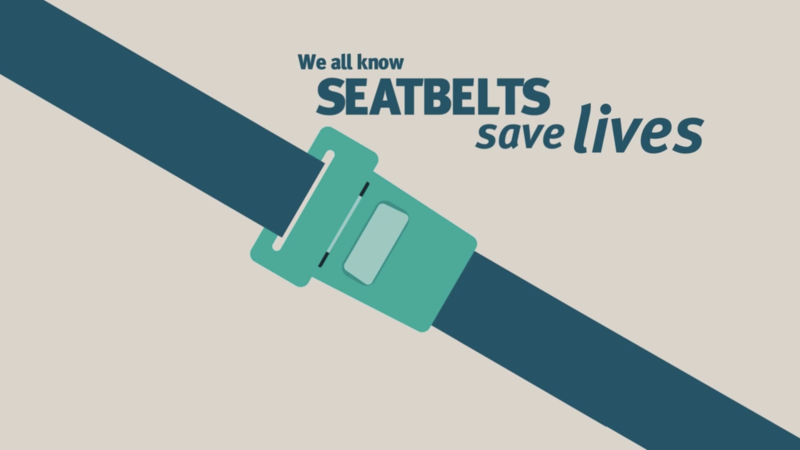 We all know seatbelts save lives, but around 10% of Queenslanders still aren’t buckling up. If you’re one of them, you’re 8 times more likely to be killed in a crash even at low speeds. A crash at 40km has the same impact as falling from a two storey building. So, always wear your seatbelt even on short journeys. Without a seatbelt you’re risking your life your cash, and your driver's licence. 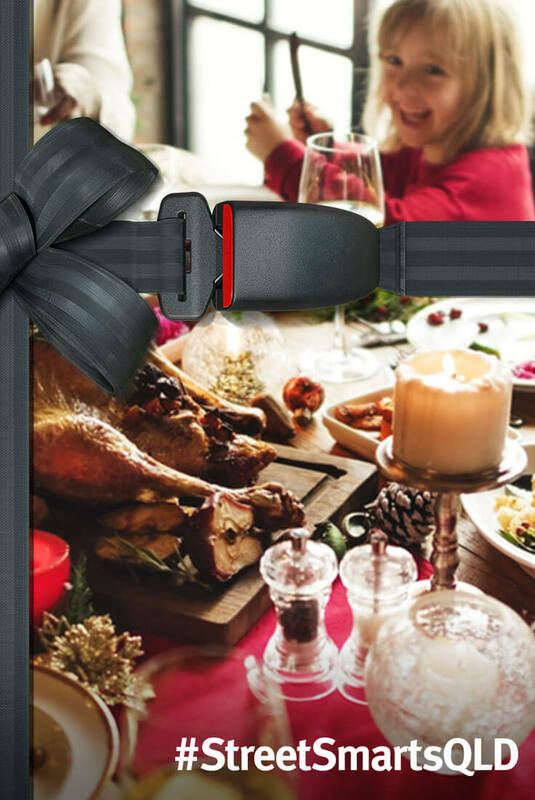 And remember, if you’re driving you’re responsible for all passengers (children and adults) wearing their seatbelts. A couple of seconds to buckle up could save your life and theirs. Watch “The facts about seatbelts” on YouTube. We all know seatbetlts save lives. But around 10% of Queenslanders still aren’t buckling up. to be killed in a crash even at low speeds. as falling from a two storey building. (children and adults) wearing their seatbelts. 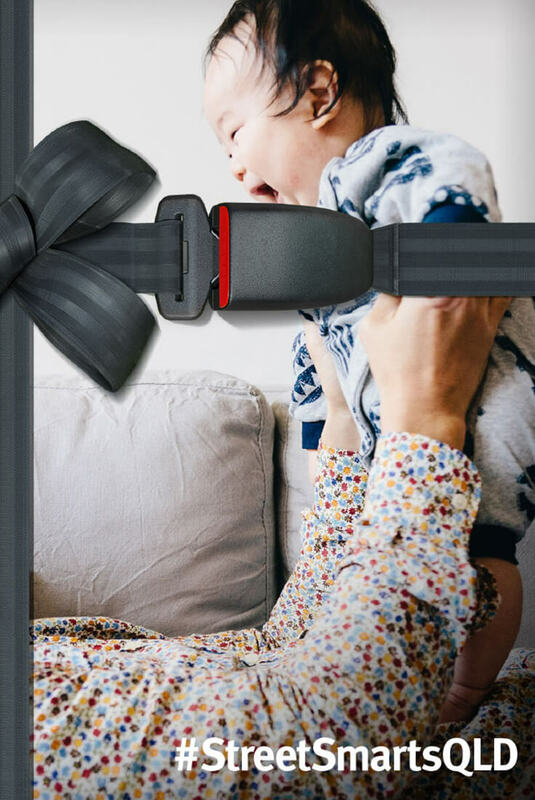 A couple of seconds to buckle up could save your life and theirs.